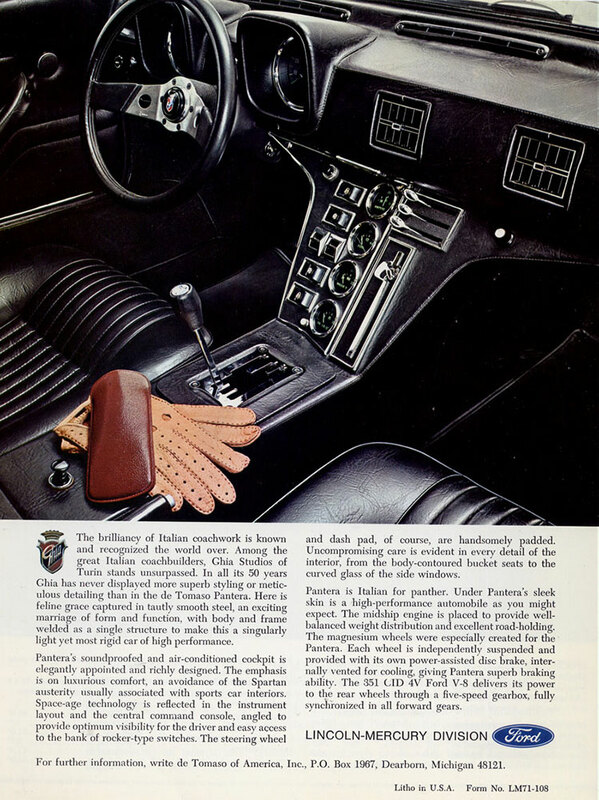 Close your eyes and picture a 1970s Lincoln/Mercury dealer. There’s a large, blacktop lot covered with flapping vinyl flags in alternating red, white, and blue. Below, parked chrome-plated mirror to chrome-plated mirror are dozens of massive, landau-roofed, pinstriped, big-block’d sedans and coupes roughly the size, weight, and shape of boxcars, their faux wire wheels, faux wood, faux convertible tops, and faux continental kits secreting a perverted, baroque, faux kind of elegance. After politely ducking an aggressive, leisure-suited salesman with creative facial hair, you browse the aisles looking for something completely different, its impossibly low roofline and relatively diminutive size hiding among the vast, blocky shoulders of vehicular brontosauri—until you round one last 90 pound chromium park bench of a bumper, revealing a bright yellow, Ford-engined De Tomaso Pantera, and it stops you dead in your brown leather ankle boots and flared Levis. 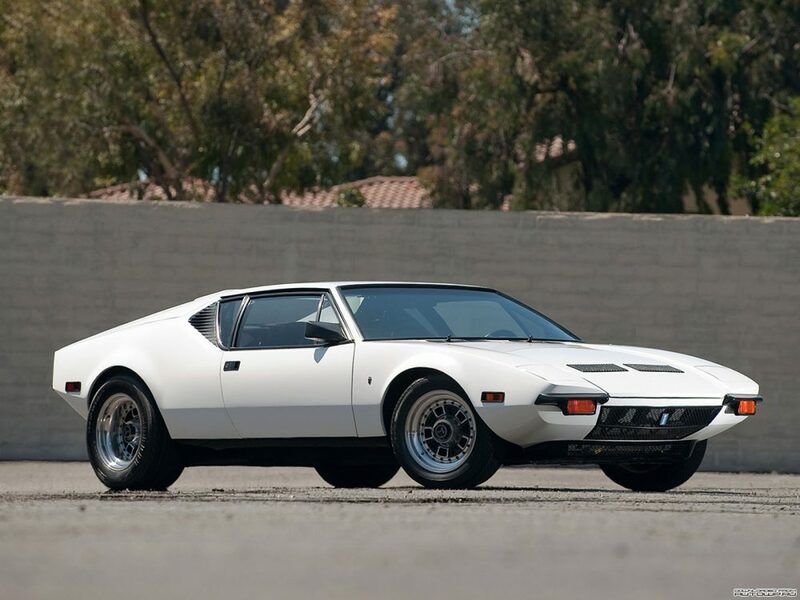 Sold through this unlikely network from 1971 to 1975, Ford had a stake in the Pantera’s success, motivated as it was by a Cleveland 351 mounted amidships in its shapely wedge—itself another American connection, penned by Detroit-based Tom Tjaarda. Sold over an incredible twenty year run ending in 1991, the Pantera remains the most produced, most iconic Italo-American V8 sports car ever built—the king of a category popularized by 1960s manufacturers hoping to compete with Ferrari, Maserati, and Lamborghini but lacking the resources to design and build their own powerplants. 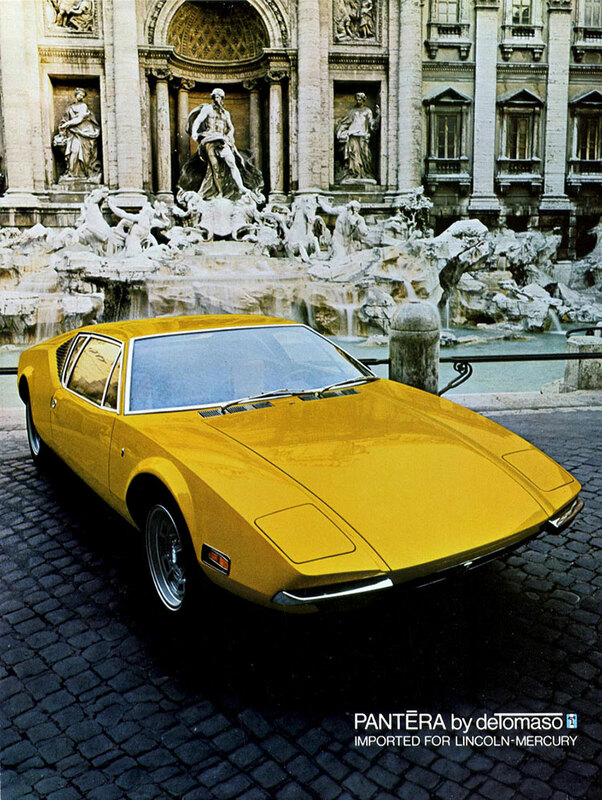 The Pantera debuted in Modena in March of 1970, shortly afterwards the first examples of which reached the eager hands of new owners. So initially successful was the Pantera that early production was soon steaming ahead at three complete cars per day—insignificant on a mass scale, but for a tiny, relatively unknown boutique maker of exotic sports cars, it was River Rouge territory. 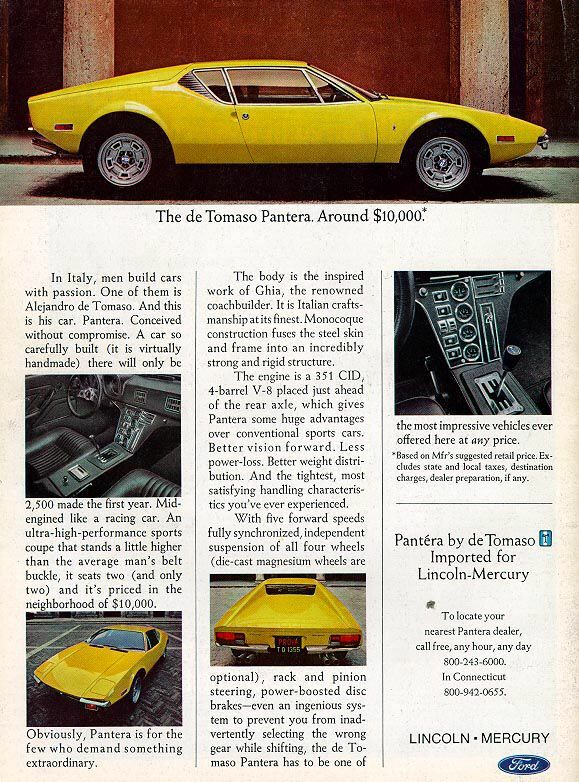 My dad had one for a short period in the mid-eighties, an early small-bumper model, I’ve never known the exact year, and he doesn’t remember—it was forest green on black and sounded like satan gargling with chlorine bleach on the rocks, though. He picked me up from school in it a few times, each time rendering me the coolest seven year-old in all of Cassell Elementary for weeks afterwards—including the time he stalled it leaving the lot and had to have a handful of gaping 6th graders push-start us. 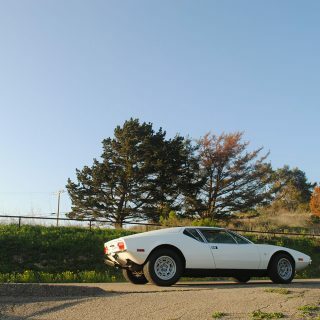 I don’t remember much else about it, except that it was fast, loud, and smelled like a lawnmower running full-throttle inside of a shed. He sold it after only a few months. 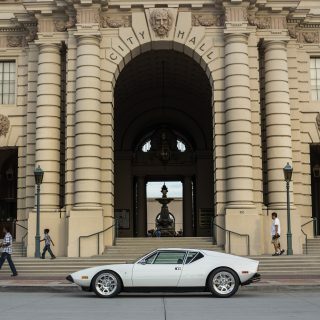 Today Panteras are probably the least expensive and most reliable way into early Italian mid-engined sports car ownership, with even pristine, early cars trading hands for well under six figures, and later, less elegant, but frequently much more powerful examples exchanged for a shade more. I say “frequently” because although late cars were endowed with more HP from the factory, remaining Panteras, even well-preserved ones, are almost never stock—their bone-simple but devastatingly effective Ford V8s easily and inexpensively tuned to produce power easily in range of more modern V12-powered Italian exotica. With Mercury gone, Lincoln in trouble, and De Tomaso teetering on the brink, I say it’s about time for the MKII Pantera. Imagine a Gallardo-sized, 911 C2-priced car with a tuned version of the Mustang’s new all-alloy, 32 valve 302 mounted in the middle of a properly gorgeous, not overtly retro shape—it’d be a great way for Ford to bring some heat to the new C7 ‘Vette, and it might even sell a few re-badged Tauruses. 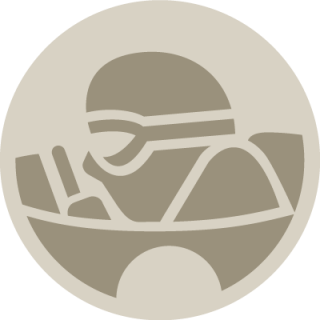 Tauri? 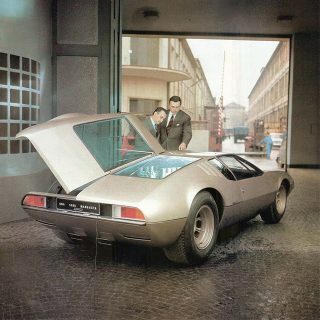 Your move, FoMoCo. 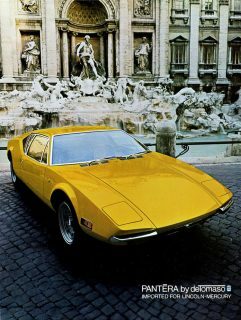 Great article about one of the most underrated Italian manufacturers. Who cares what Ford needs? 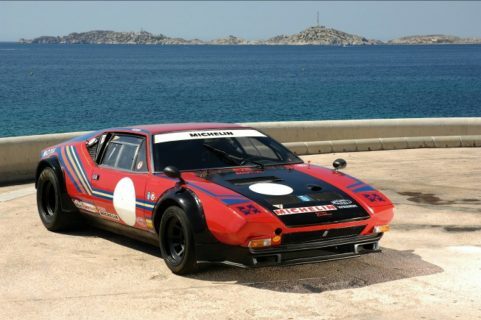 Detomaso needs a comeback to challenge Ferrari, Lambo, Maserati and other Italian competitors like it has historically. 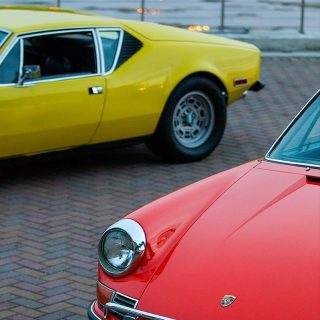 One of the most underrated Italian manufacturers from the Golden Era. 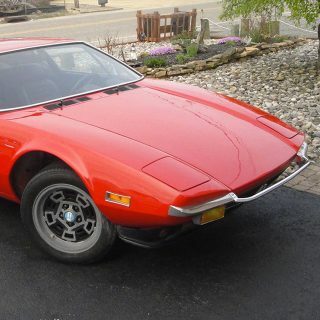 My dad had a 72 and it was definitely the car that sparked my love for sports cars. I’ll never forget the smell of the vinyl interior on a hot day. 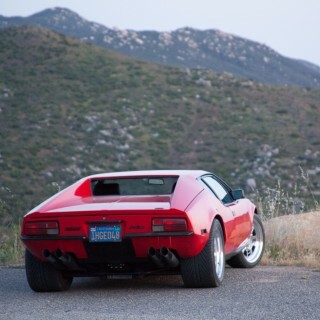 Funny story- Elvis had an Pantera and he shot it when it wouldn’t start. Excellent piece. I particularly enjoyed the picture painted by the opening paragraph. 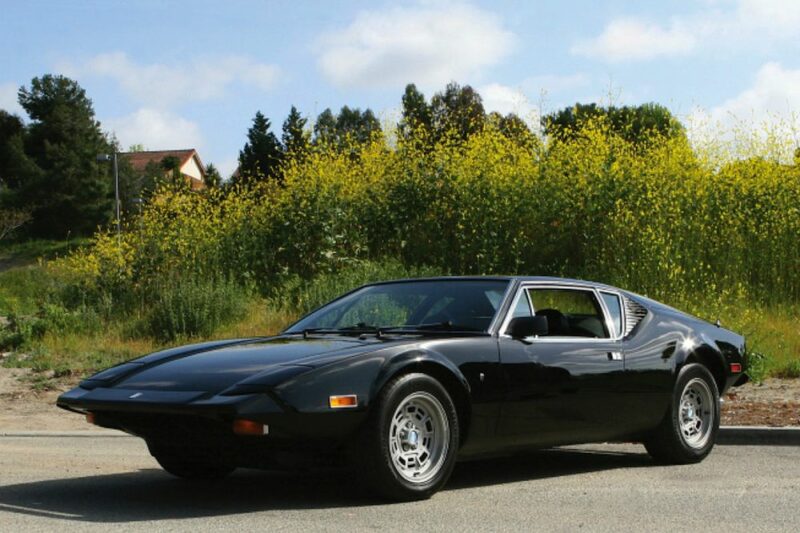 As far as a Mk2 Pantera goes, its just a shame that the De Tomaso/Qvale/MGSV missed the mark by so much.